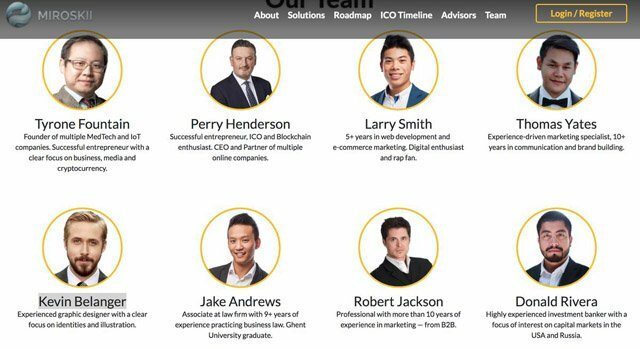 A shady cryptocurrency ICO has been caught using stock photos for their team members, including actor Ryan Gosling as a graphic designer. There’s a long history of companies using celebrities to endorse their products for marketing purposes. Of course, there’s probably just as long a history of unsavory people looking to cash in on a person’s name or face by fraudulently linking the celebrity to a product that they are not endorsing. A somewhat similar case arose recently when a ICO was started for a new cryptocurrency, and the ICO featured the handsome mug of Ryan Gosling as one of their team members. As stated before, a lot of celebrities have endorsed various things over the years. Baseball legend Babe Ruth endorsed chocolate bars, soda, and tobacco. Today’s celebrities are often found shilling products for a fat paycheck, such as Taylor Swift for Diet Coke, Brad Pitt for perfume, and Matthew McConaughey for cars. A number of celebs have even endorsed various cryptocurrency projects, such as Paris Hilton, Floyd Mayweather, Jamie Foxx, and Steven Seagal. However, Ryan Gosling is not promoting cryptocurrency. An outfit by the name of Miroskii is having an ICO for a new cryptocurrency. They’re not attaching Gosling’s name to their crypto, but they are definitely using his image. On their website, which has now been taken down, you could see the Hollywood star as team member Kevin Belanger. Apparently, Mr. Belanger is an “experienced graphic designer with a clear focus on identities and illustration.” I guess on the weekends, he looks for replicants, drives cars really fast, or spontaneously breaks out into song. In fact, the entire Miroskii situation throws up a lot of red flags. The site originally had all the usual platitudes you would associate with crypto and blockchain ventures, but there was no whitepaper to be found. Even more interesting is their roster of team members. Apparently, each team member represented is actually fake. The images used for the profiles either belong to real people (who have no connection at all with the ICO) or are stock photos. For example, the image used for Perry Henderson actually belongs to John Davies, a managing director in London. You can check out the sources for the images on this Reddit thread. What makes this ICO scam even sadder is that a bunch of people have fallen for it. Before the Miroskii site was taken down, 389 people had already spent $833,999 on the ICO. It seems that the scam artists have closed up shop and moved on. Again, this entire situation reinforces the notion to always do a great deal of due diligence before any investing. 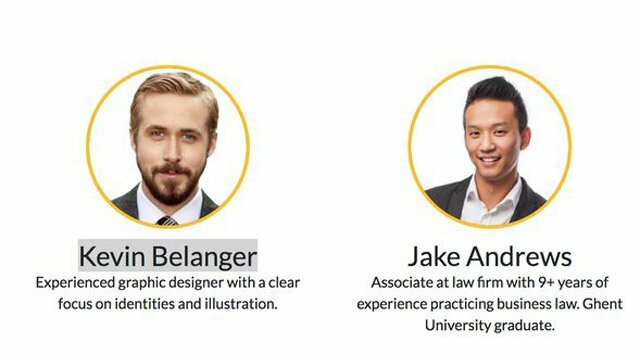 What do you think about this fake ICO using an image of Ryan Gosling as a team member? Would you invest in an ICO endorsed by Gosling? Let us know in the comments below. Images courtesy of Wikimedia Commons/@Gage Skidmore and Reddit/@arsonbunny.